Exciting News About Stage 4! Stage 4 has now started construction. We are very excited to offer the last stage of our village. Stage 4 comprises 1, 2 and 3 Bedroom villa’s starting from only $349,000. Bluegum Lifestyle Resort would have to be one of the best villages in the district. Our resident’s are enjoying what retirement is all about. Relaxation, holidays and community involvement. Get in quick before all these brand new homes are gone! Contact our sales team today or better yet pop on out for a visit. 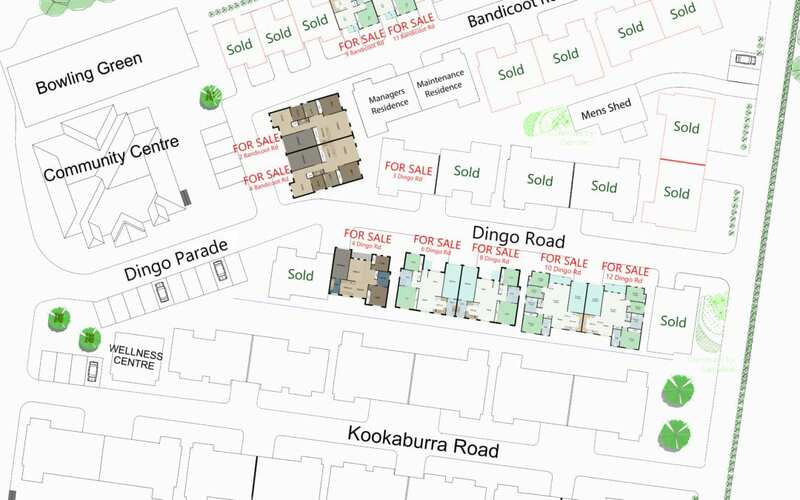 We have an open home every Wednesday where we can show you through our display home and around our beautiful village. Contact Aaron Bell on 1300 735 746 today.